A holiday display meant to re-create a scene from "National Lampoon's Christmas Vacation" looked a little too real and caused a veteran to spring into action. 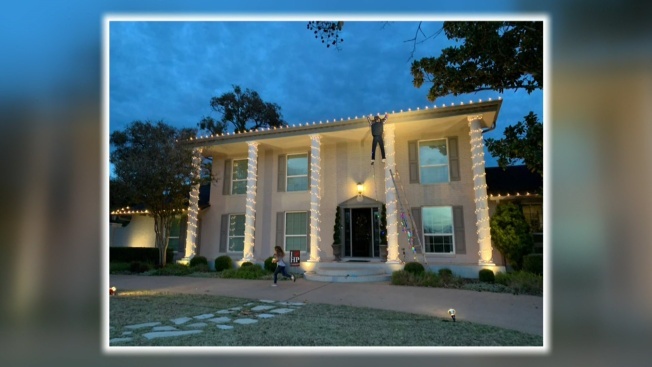 The Heerlein family placed a dummy representing Clark Griswold dangling from the gutter of their Austin home, with a ladder tipping beneath him. A veteran passing by thought it was the real thing and wrestled the ladder up while shouting, "Can you reach it?" The man called police, who arrived and advised the family they were getting calls about the display. They have since put up a sign that says "Clark G is part of our Christmas display please do not call 911."